The Relay Lantern functions as an emergency light. During a power outage the lantern will come on and provide light for approximately twelve hours with the #4546 lamp and 5 days if the lamp has been replaced with an LED kit. These lanterns are useful emergency lighting for corridors, exits, stairwells and public meeting areas as well as aboard ships—any place where safety is a factor during a power outage. The Relay Lanterns were designed for the Department of Defense and manufactured to the specifications set forth in MIL-DTL-16377/53D dated June 30, 2014, and MIL-F-16377. 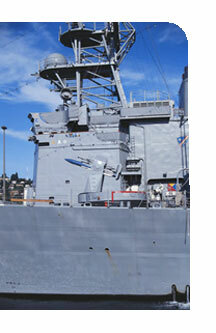 Naval Sea Systems Command, Department of the Navy approves these specifications. Jay Moulding has submitted the Body Assembly and Relay Assembly (2 component parts of the Relay Lantern) to the government for testing and has First Article Approval on both items. 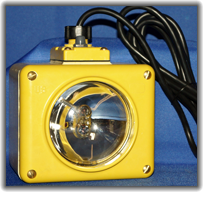 The Relay Lantern functions as emergency lighting aboard ships.When plugged in to AC power (SYM 101.2) or DC power (SYM 102.2 115 VDC, SYM 108 230 VDC), in the event of a power outage, the lamp will turn on after a three-second delay. This delay allows for momentary power outages. When power is restored the lantern’s lamp will turn off. Depressing the push button switch on the relay top plate may test the lamp. The lamp will light after a three-second delay. BODY MATERIAL: Molded high impact plastic body, relay housing, cover and retainer ring. Yellow, MAI 60. LAMP OR BULB: Sealed incandescent, Par-36, screw terminal. Industry Number 4546. 4.7 Volts, 6,300 beam candlepower, hours of life 100 hours. 3 GASKETS: Lamp gasket, cover gasket, relay gasket. Rubber, Neoprene 45-55 Duro. 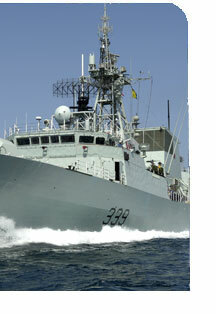 Three gaskets are required to make the lantern water tight (Military Spec. 108E which requires unit to be operable in 3 ft of water for 1 hour). CABLE: 10 ft., 3 conductor, outer jacket 16/3 SJT. BATTERY(not furnished): May use 1 or 2 standard commercial 6 volt batteries. Jay Moulding Corporation manufactures a variety of lanterns, retrofit kits, assemblies and replacement parts in accordance with U.S. military standards and specifications. 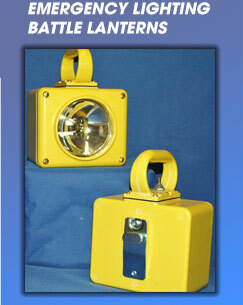 Lanterns manufactured by Jay Moulding can be found in the U.S. Navy’s Standard Electrical Symbol List.